The Supreme Court Collegium has recommended the elevation of four High Court Chief Justices as SC judges. 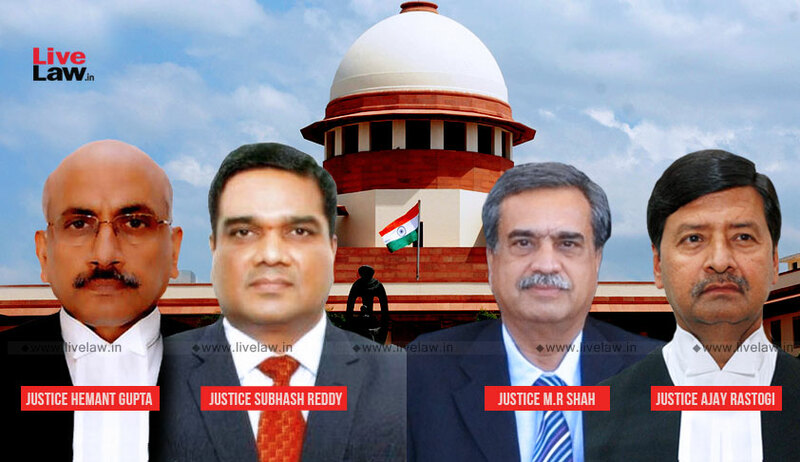 They are Justices Hemant Gupta, R Subhash Reddy, M R Shah and Ajay Rastogi who are the Chief Justices of Madhya Pradesh, Gujarat, Patna and Tripura High Courts respectively. The Collegium comprising CJI Ranjan Gogoi, Justice Madan B Lokur, Justice Kurian Joseph, Justice A K Sikri and Justice S A Bobde held that the recommended judges are "are more deserving and suitable in all respects than other Chief Justices and senior puisne Judges of High Courts, for being appointed as Judges of the Supreme Court of India"
The Resolution states that the Collegium has taken into consideration combined seniority on all-India basis of Chief Justices and senior puisne Judges of High Courts, apart from their merit and integrity. The Collegium has also kept in mind, while recommending the above names that the High Courts of Punjab & Haryana, Gujarat and Rajasthan have remained unrepresented in the Supreme Court since long. If the recommendations area accepted the number of judges at the top court will rise to 28. The sanctioned strength of Supreme Court judges in 31, against which there are 24 judges holding office now. Two SC judges- Justice Kurian Joseph and Justice Madan B Lokur- are set to retire this year, in November and December respectively.